December 1, 2014 by Chris G.
but for pretentious by its game. a devil’s playground at the fount. hemmed us into falling land. May 3, 2012 by Chris G.
Wait, wait, I have that all wrong. What I mean to say is, when last we left our discussion of faith under the banner of Idasian intricacies—humble, god-fearing folk that we are—I spoke of the two most prominent faiths on the face of the continent Marindis: the Visaj, and the reformer Farrens. We talked of rings (cue quips of “one ring to rule them all” and “One does not simply walk into Walmart…” Yes, yes, you’re all very witty, and I know it’s what you were thinking), and war, touched even briefly on the notion of blasphemy. But I digress. This week, we continue the religion-minded train of thought with a wheel to the southern heat, where the scorching jungles of all Holy and all mysterious Zutam lie. While faith marks the cornerstone of most medieval cultures, the Zuti are curious even by these standards, for theirs is an Empire governed by the spiritual—and yet, at once, deprived of the fanaticism oft-seen within the boundaries of Marindis. The Holy Empire of Zutam, which has come to encompass an entire continent (as a consequence now also called Zutam), and begun to press even into Marindi lands, follows the path of Vashra. They follow no gods, nor do they believe in an afterlife, per say. Instead they follow spirits—the embodiments of all things, less personalities in their own right and more facets of the world given name. Ancestors, too, are often looked to for advice, or aid—but they are not worshiped. For in Vashra, all creatures are equal in spirit, living or dead. Even Uhnashanti–“the greatest one”– who birthed and protects both man and the world alike, is not heralded as a god; merely a piece of the universe that surrendered his self to give the masses form. Death, for the Vashran, leads only to a joining of the spirit with the soil. The shackles that form the flesh are removed, and the spirit roams free at last, at peace with those around it. Life, to them, is the teaching, and the learning—the path that allows our minds to open to the fullness of the world. This is the reason life, in their tongue, is called “kujifunza”—learning. Though they take the emperor of Zutam to be their holiest figure, Vashran do not see him as descended from the gods, or the spirits, or even a god himself, as some cultures might. Rather, the emperor of Zutam is expected to be the most enlightened figure—the guiding light, as it were. He is revered as such. Unfortunately, this also means that for those emperors proven to be reckless, and lecherous, and cruel, there has been plenty of precedent for removal. Historically, this has often enough ended in a fiery coup, culminating in the elimination of much (if not all) of the reigning royal family. One could never say Zutam is not a turbulent place. Various sects exist within Vashra, of course, owing to its essentially polytheistic routes. Numerous shrines litter the empire, in fact, dedicated to spirits of fire, and water, or even to the great mother spirit itself—the earth. Though some are more militant than others, as the equality of these sects is preached almost from birth, there are few squabbles between them—though human nature of course makes some conflict inevitable. Vashran believe the followers of Visaj, as well as the Farrens (a distinction of religion lost on them, by the way), to be something of misguided children, rather than outright heretics. While their path is no less valid than Vashra itself, it is the methods of its pursuit the Vashran frown upon: the praising of idols, the constant in-fighting, the forcible conversions. Faith as they see it is a matter of the individual—a stark contrast to the Visaji belief in the oneness of society. 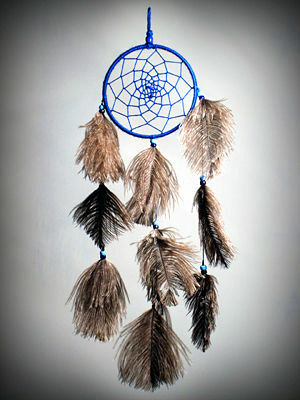 If there were any one symbol of the Vashran—beyond the Emperor himself, of course—it would likely be the dream catcher. For the Vashran hold the dream realm above all others—a place where the mind is free to roam, and the spirit is able to break its bonds with the chaining flesh, however temporarily. Dream catchers and the “sterre spice”—a potent drug often used by shamans to induce deep and hypnotic slumbers—are, as such, some of the most spiritual assets at their disposal. April 9, 2012 by Chris G.
With Easter just behind us, it seems an appropriate topic, no? But that’s the thing. We most often associate faith with religious belief–it’s more than that. Faith is believing in something, an all-consuming knowing and passionate belief. The best version of faith, of course, is that which is supported by reason, perhaps even documentable proof. I can have faith in my family’s devotion to one another. One can have faith in a certain person’s dedication to their work. Faith often manifests itself quite firmly in a vocal conscious, but it is inherently a subconscious detail–for it is something so deeply imbedded in us, that we need not truly think on it to know it is true in our minds. And that’s the key, by the way: “in our minds.” Faith varies, person to person. As it should be. For no one should suffer the woes of blind faith–the mob mentality faith, belief not for the sake of ourselves, but because others would have us believe it so–for this, as matched by few others, has a potential for such devastating acts the world itself should (and has) quiver in dread of it. Faith is, above all things, personal. So think: what do you have faith in? 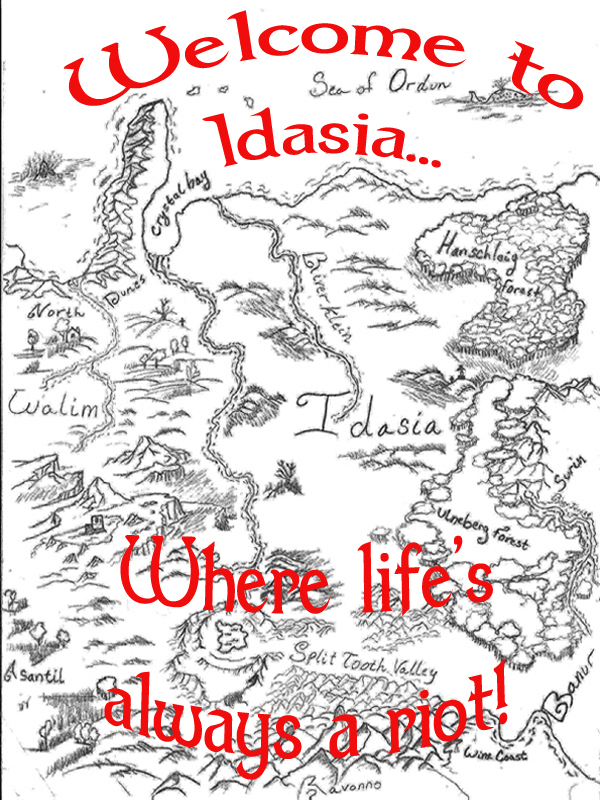 January 3, 2012 by Chris G.
December 15, 2011 by Chris G.
Welcome, one and all, to the first edition of “Inside Idasia,” a new feature here on the Waking Den that I hope will shed some light into the dark places of The Hollow March. The opening topic, as the title would imply, is religion—something I don’t think we see quite enough of in the fantasy realm. Religion is one of those critical forces in the Empire of Idasia and the continent of Marindis at large. It is one of the great polarizers, as well as one of the great equalizers (in theory, at least). While historically the unifying brotherhood of the continent has been the Church of Visaj, recent decades have seen a schism within the faith. While some point the finger to the Zuti heathens that have crossed the sea and entrenched themselves in the former Kingdom of Narana, most see the reverend Farre and his followers as to blame. While originally believed to be an issue of “the littlefolk,” it has begun to cause dissent among the lords, and even the royal family has not been immune to its chaos. The traditional power on the continent. With its church based within the Principalities of Ravonno, to the south of Idasia, its whims have long been seen as mandate by pauper and prince alike. 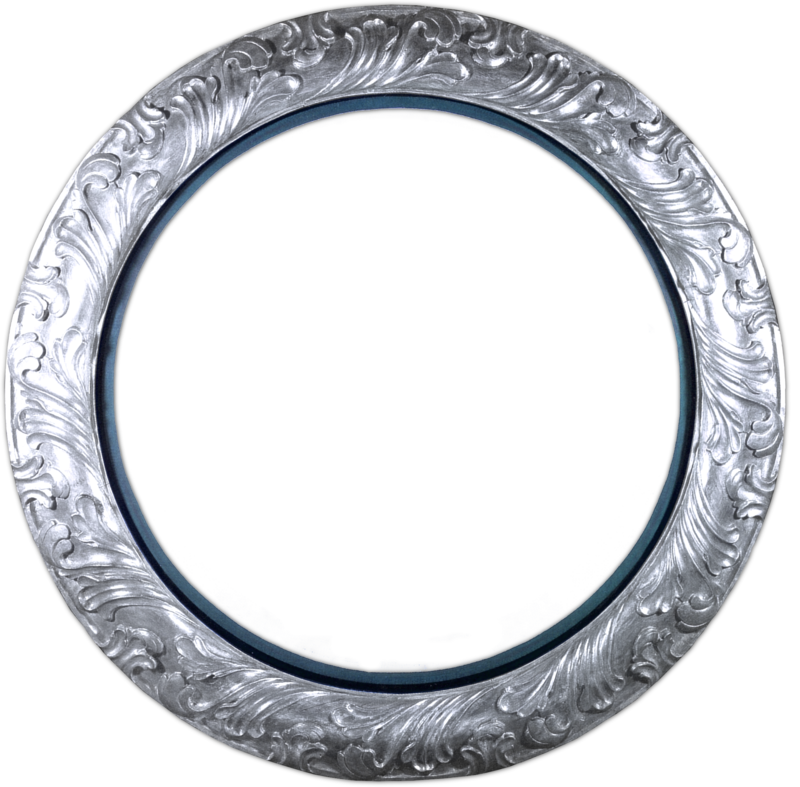 Their faith centers around the idea of “the Circles,” reincarnation, and breaking free of the mortal. At the core of this lies their god, known by many names but called most prominently Assal. Belief holds that those who traverse the circles of existence and break free will eventually become as one with Assal, and pass beyond the mortal coil. Their faith is laid out in a text known as the Vorges, written by the prophet Ademius (who would, in fact, later take the name Visaj) and his men centuries ago.The Church is led by a patriarch, though men and women alike are welcome within, and both are welcome as priests. Neither are allowed to marry. Owing to its key place within society, noble families are expected to offer up their second son or daughter’s life (if they are so blessed) to devotion within the Church. Peasants are not so bound. The Church itself can be broken into two internal categories at the moment (its various “sects” aside): the Orthodox, and the Humanists. The Orthodox are traditionalists, adhering strictly to the old tenants of the Faith. Humanists are more in line with the Farrens, in truth, straddling that heretical line while seeking to reform the Church from within. They believe a focus solely on achieving the final resurrection disconnects one from reality, and that, in truth, one must be concerned with the earthly realm to better themselves—a focus on the present, rather than the later. Much of Idasia’s old nobility remain firm Visaji, and greatly resent the spreading Farren faith. Until the last 15 years, Emperor Matthias of Idasia was long-heralded as the Church’s Defender of the Faith. Revolutionaries. Reformers. Heretics. Visionaries. The term changes depending on who one asks, but the facts are simple: the Farrens are the result of a church too long corrupted by time’s corrosive march. It grew out of the Humanist movement within the Church, causing some of the ill-will felt toward those would-be reformers. Founded by Asanti theologian Rev. Farre in his homeland to the west, his religion originally seemed nothing more than a cult—and one easily quashed. After being driven from Asantil, however, Farre’s words began to take especial root among the littlefolk throughout the continent, but most prominently in the heartlands of Idasia.Since then, the Farrens have become so heavily entrenched among the people that only the Visaj Church still feels they can honestly be rooted out. Their cause received a massive boost with the conversion of the royal family of Banur, in the east, and several lords within the Idasian Empire. Their greatest claim has come, however, with the passage of a would-be “Freedom of Religion” decree within the Empire, following the Emperor’s marriage of a Farren bride. Though this has caused a great straining of relations between Idasia and the Visaj Church, and a number of the Emperor’s nobles (and family, for that matter), it has garnered the Emperor great respect among the people. Farrens seek to end the suffering caused by a focus on the later rather than the present. They seek to engrain their religion at a more base, human level, rather than on the lofty, often vague “circles” the Visaj church preaches to. Yes, you heard me, "circles." 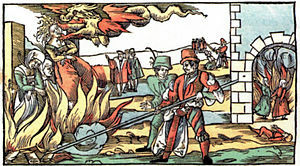 Over time, concerns have grown that the tensions between the two groups will eventually spark some sort of religious war, especially now that the Visaj have pursued the extreme measure of crafting an inquisition. While many nobles dismiss the capabilities of “peasant rabble,” others are less certain. With an issue that splits even the royal family, one thing is certain—things can only get worse before they get better. I hope you’ve enjoyed this first little peek inside the world of The Hollow March, and return for more such information prods in the weeks to come. This is hardly the end of religion either—while this deals with the two main faiths in Idasia, it doesn’t even touch the Zuti faiths, nor those of the Kuric northmen, and that’s a fact I intend to remedy in the future. 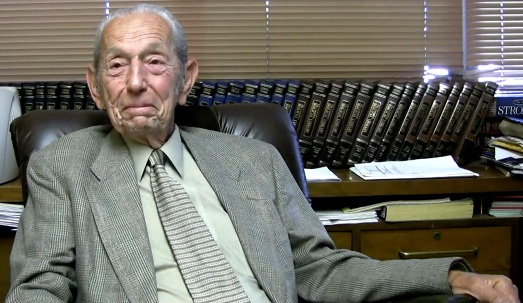 May 23, 2011 by Chris G.
Harold Camping - the man who predicted the end of the world. And got it wrong. Again. 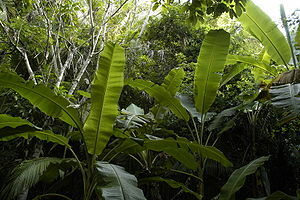 Image care of Wikimedia Commons. This week I have a bundle of quotes for you, as the previous week extolled in me a need for some reason up in here. January 18, 2011 by Chris G.
once, the thought, even in disdain. * My latest contribution to the wonderful One Shot Poetry Wednesdays! Once you’ve had a look, check out some of the other One Shot Poets as well–they’re a skilled bunch of poets, with a strong and supportive community. Enjoy!